The activist investor who has been calling for AOL and Yahoo to merge, owns shares in both companies, not just Yahoo. Starboard took a 2.4% stake in AOL during the third quarter, according to a regulatory filing that came out late on Friday, reports the Wall Street Journal. It previously owned a stake in AOL in 2012, which it used to run an activist campaign against that company. Today’s filing also reveals that Starboard owns 0.8% of Yahoo, putting it outside the top 10 shareholders in the company, the Journal reports. 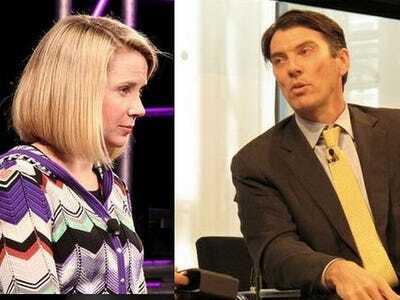 Starboard sent a letter to Yahoo’s board on September 26, suggesting that Yahoo and AOL merge. Although Yahoo is the larger company, Starboard suggested that AOL would be the surviving company. Starboard also had other suggestions for Yahoo, including more aggressive cost cutting and chilling out on acquisitions. The fact that Starboard owns stakes in both companies suggests it has more leverage than originally thought.